In this segment of The Mind of a Leader, learn how communication helps foster trust and builds loyalty of the people within an organization. Niccolo Machiavelli is the author of The Prince, and the ninth chapter talks about a leader’s ability to gain the loyalty and trust of his/her citizens. This chapter of The Mind of a Leader covers experts’ opinions on how to form close relations at all levels of your business or organization. Among the experts is Dame Anita Roddick who founded The Body Shop and believes authority figures need to be taken down a notch, even though she, herself, is an authority figure. In this half hour program, Lynda Curtis will talk about how leaders need to be visible and engage with everyone. While Mads Ovlisen covers how to create relations through conversation. 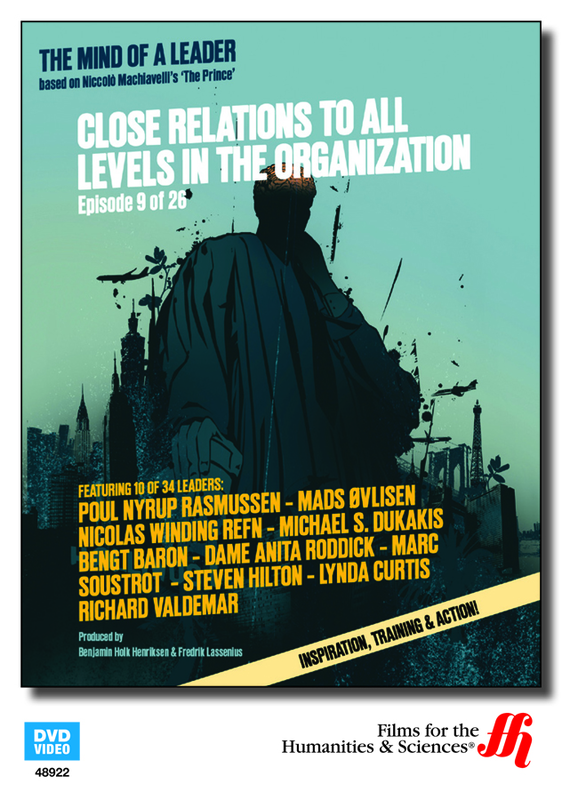 Michael Dukakis, Poul Nyrup Rasmussen, Nicolas Winding Refn, Richard Valdemar, Bengt Baron, Steven Hilton, and Marc Soustrot also weigh in on how relationships within an organization build loyalty.